Pick up the novel closest to you. It doesn’t look like much, all things considered: paper, ink, cloth-covered cardboard, a slick-paper dust jacket. What you’re holding in your hands is months or even years of toil, of interrupted sleep, of near-psychosis as the author lived in the world of his or her imagination so that every description transports you out of your world, every iambic turn of phrase wrings pure emotion from your heart, every witty repartee turns fictional characters into treasured friends. You’re also holding the last of a barrage of revisions and rewrites, an untamed weed pruned and cultivated into a prize-worthy flower. Have you ever wondered about those parts that have been axed with the stroke of a red pen? Maybe you wonder what the book was like in the first draft. Or perhaps you’d like to see some of the tools an author uses behind the scenes to help craft characters and a story that are memorable and resonate with readers. 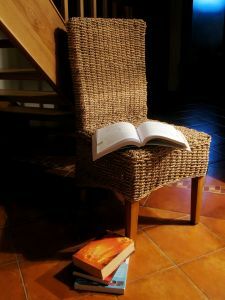 Not all authors offer you a glimpse of these things, but I promised myself that when I “went public” with my writing, I would be accessible to my readership, and I would offer some of those tidbits readers crave. It might be research, it might be chapters written in a different character’s point of view than what actually ended up in the finished book, it might even be a whole first draft of a book to let you see a glimpse of how a story evolves with “pruning and cultivating” (i.e. revising and rewriting). I hope you enjoy the special content I’ve posted here on my website. If there is something you’re dying to know about or to see, drop me a line and let me know, and I’ll consider posting it here.